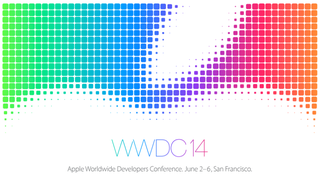 Every year at WWDC Apple introduces the latest update to its mobile operating system. Let's just call it iOS 8 because duh. Last year's iOS 7 flat design was a complete overhaul—the most significant in the platform's six year history—and while we're not expecting quite that level of change in iOS 8, there will definitely be some improvements. The new version will likely hit the mainstream this fall, probably coinciding with the release of a new iPhone. Here's what we think might be new and exciting. Tracking every last bit of data about your health and fitness is easier than ever thanks to a million gadgets that have been produced for exactly this purpose. Apple has been noticeably silent on the trend. According to 9to5Mac's Mark Gurman, Apple will be adding a new app called Healthbook, which will serve as a central dashboard for all of this health data. The new app would function much like Passbook does, except that instead of boarding passes and Bonnie Raitt tickets, you'll see health stats. Each different metric gets its own card, allowing you to track details about everything from your heart rate to nutrition to blood sugar. Aside from the Healthbook scoop, Gurman has reported that Apple plans to update the horrible Apple Maps app to include transit directions (finally), that iTunes Radio might get broken out into its own application because people aren't using it enough, and that the iPad might get split-screen multitasking similar to the divided UI feature on Samsung Galaxy Note devices. Oh, and maybe proper TextEdit and Preview apps with iCloud integration. How many of these improvements and additions make it into the final product remain to be seen, but one thing that's certain is that this year's iOS update won't be anywhere near on the scale as last year's massive overhaul. OS X, on the other hand, may see a large-scale aesthetic reboot overseen by Apple design chief Jony Ive. Whereas OS 10.9 Mavericks was mostly about performance bumps like better battery life and improved support for multiple displays, 10.10 will be all about change you can see, finally unifying the look of Apple's mobile and desktop platforms. As you can see, notable changes include the embracing of a flatter design (particularly noticeable in the dock, but also in app icons) as well as flatter app icons. OS X reportedly will be getting a Control Center pane for easy access to System Preferences and more. The internal Apple codename for the OS is supposedly Syrah, but chances are it'll go with some huge California landmark, possibly Yosemite. The Financial Times recently reported that Apple will announce a new software platform that'll allow your iPhone to control everything from your home security system to your thermostat to your lighting. There's a good chance that you're already using iPhone apps to control some kind of "internet of things" gadget in your home, and it makes sense that Apple would want to make a more unified push in this area, especially following Google's $3.2 billion acquisition of Nest. As for what the platform might actually look like, that's anyone's guess right now, but figure some kind of standardized method and interface—or at least interface standards—for setting up and controlling all of the increasing number of connected gadgets in our homes. Update: GigaOm reports that the automation will be primarily focused on voice control and easy Wi-Fi configuration, but there won't be some Apple-controlled software layer that replaces the need for an app. As you've no doubt heard, Apple just acquired Beats and with it, two of the smartest media moguls out there in Dr. Dre and Jimmy Iovine. Give how much attention the deal has garnered it wouldn't be surprising to see one or both of the new Apple execs hit the stage at WWDC to make some announcement about Apple's future plans for content. Steve Jobs biographer Walter Isaacson suggests that veteran record label boss Iovine might end up running Apple's content business. What, this doesn't exist already? I could have sworn it did. It should! We've heard rumors about a super light 12-inch retina MacBook floating around in Apple's pipeline., and while the jury's out on whether that specific device will show up, at the very least the MBA is long overdue for a better display. WWDC tends not to be a hardware-heavy event, and this would add a nice physical touch to to Apple's developer party. Then again, Apple just give the Air's processor a bump to the latest Intel chipset, so maybe it's too soon for another update. Analyst Ming-Chi Kuo, a frequent source of rumors that are sometimes true and sometimes not, so do with that what you will, suggests that we might get a a cheaper iMac or possibly a cheaper 8GB iPhone 5S. Kuo has been spreading this rumor about the iMac for a while in fact. Will it finally come true? Probably not. Compared to other set-top-boxes, the Apple TV has suddenly started to feel distinctly limited, and we've been expecting it to get a refresh for years. Apple almost certainly has something in the works for Apple TV. Back in January, the streaming media box graduated from Apple's accessories (aka "hobby") category to a full-fledged product line, which is a subtle but significant shift in the company's thinking about the product. A more fully-featured box with games and apps is widely rumored. Earlier this year, Bloomberg said we would see the new Apple TV imminently, perhaps as early as April. That didn't happen, and Re/code reports that whatever the upcoming refresh is, we won't see it at WWDC. Mark this one down as in the works, but maybe not ready for primetime just quite yet. iWatch rumors are older than creation, even though there has never been a shred of real evidence behind them. Has Apple been working on a watch? Of course! But Apple works on lots of things, all the time, as do all companies. That doesn't mean they ever get released, or stick to any sort of timetable projections. Given the recent craze for smartwatches, though, there's definitely mounting pressure for the company to deliver something wristable. Apple has made several hires in medical sensor tech that seem to indicate it's serious about the project. But we haven't seen any reliable intel or hardware leaks suggesting that the iWatch might drop anytime soon.